Our micronized zeolite powder is the finest and safest zeolite on the market today. The founder of greenclays.com spent nearly a decade searching for the perfect zeolite to complement traditional clay therapy. Zeolite is well known for its ability to detoxify living organisms, and is currently being studied world-wide for its ability to sorpt heavy metals and radiation from living systems. Using zeolite internally is the perfect complement to utilizing food grade edible clays. 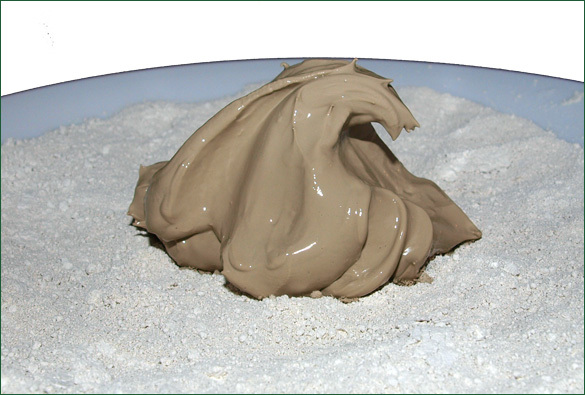 While our zeolite may be used as an all-purpose zeolite for baths, cosmetics, and soaps, it is particularly suitable for internal use as detoxificant. Please note that zeolite works far differently in the body than traditional smectite clays such as bentonite and montmorilonite; zeolite is not a replacement for clay detoxification, but rather, a fantastic addition to a professional detox protocol.